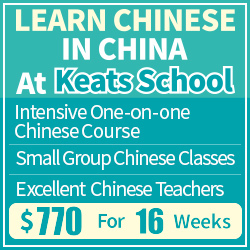 We all learn Chinese for different reasons, but if you learn the language to an advanced level, it makes sense to also make it at least part of your profession. Apart from teaching, becoming a translator is a long-term goal for many learners, or at least something that many have considered. But what does it take to become a translator? How good do you need to be? How should you study to get there? This interview with Carl Gene Fordham is based on reader questions. Carl Gene Fordham is a NAATI-accredited Chinese-English translator. 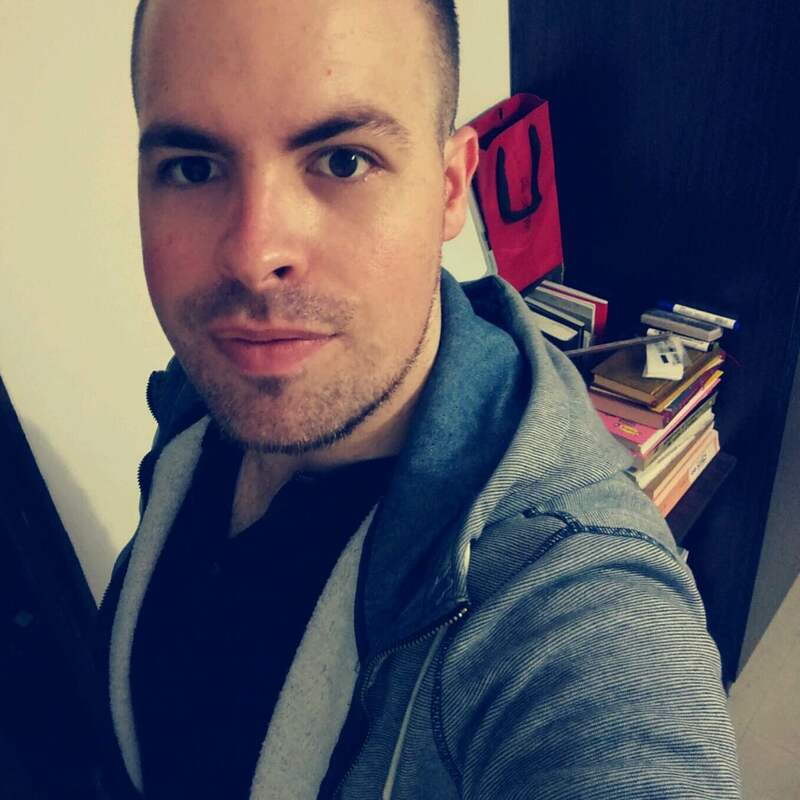 He holds a Master’s in Translation Studies from RMIT University, and is currently completing his second Master’s in Ancient Chinese History at Xiamen University, China. He has eight years experience as a freelance Chinese-into-English translator, and six years experience teaching translating and interpreting courses in Melbourne, Australia. His Chinese name is 傅君恺, and he runs a popular blog named 一步一个脚印, which has been featured in a separate article on Hacking Chinese. I have interviewed him once before in an article titled Chinese immersion with Carl Gene Fordham. This interview is built on questions submitted by readers through Facebook, Twitter and as responses to my weekly newsletter. It wasn’t possible to include all questions, but I have made sure to ask the most common ones. I have also edited and combined various questions to make the interview flow better. Before we start the interview, I’d like to address two things. First, translation and interpretation are two different activities and while both require advanced levels in both languages, the requirements and skills involved are quite different. This article is about translation. Second, most translators translate into their native language from other languages. This is of course because it’s much easier to understand a language well than it is to express yourself in that language. 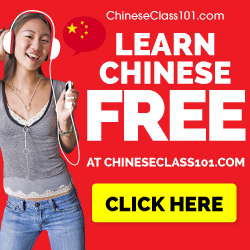 While there certainly are exceptions, reaching a a proficiency level in Chinese advanced enough to translate into Chinese would be orders of magnitudes harder than doing it the other way around. As the title implies, this interview is separated into two parts, one about becoming a translator and one about what it’s like working as one. Let’s start with the most common question I received from readers. How good do you need to be before you consider becoming a translator? How do I know when I’m ready? Ideally, you should have very good reading comprehension skills in the language you are translating from, and a native command of the language you are translating into. By “very good” I mean you can read a variety of texts – books, newspapers, magazines, etc – without having to look up a dictionary very often. For learners of Chinese, it takes about ten years to get this level, maybe eight years for very dedicated learners. 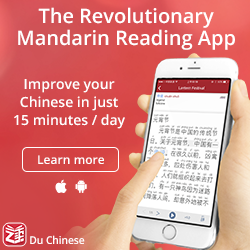 It takes this long because you have to learn two languages at the same time: the language of reading and writing (Chinese characters) and the language of speaking and listening (Mandarin, for most people). They are two completely different linguistic systems that share very little vocabulary with European languages. I know of two exams that attempt to measure this level of proficiency – HSK-6 and the NAATI Professional Translation Exam. However, having taken and passed both of these, I would say neither is an accurate representation of the skills required to be professional translator. So it’s really up to you to assess your own level and whether you would be confident taking on translation jobs. Okay, how should one study to reach this level? What tools and resources are available? People talk about many different approaches to language learning, but in my view, it’s actually quite simple. To improve a skill, you just need to practice, every day, over a long period of time, and slowly but surely you will make progress. With translating, the most important thing is your ability to understand a wide range of texts. So read as much as you can. Take plenty of notes. And always be curious about how different words and expressions can be translated. Better yet, you can practice translating by yourself, and then get some feedback from people you know. Are there some skills that are less important? How about writing Chinese characters by hand? Since most translators of Chinese whose native language is English only translate into English, the ability to write Chinese characters by hand is not important at all. And even if you were translating into Chinese, you would almost never write by hand, unless perhaps in a translation exam. That being said, I am a big advocate for the benefits of learning how to write Chinese characters for all students of Chinese. But that’s a whole other topic. 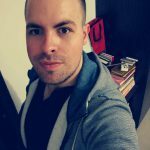 Any advice for intermediate students aspiring to become translators? Don’t be put off by anyone who says you’re not good enough to be a translator! It’s probably a generalisation, but in my experience translators tend to have, let’s just say, interesting personalities – some can be rude, arrogant or intimidating. If you can find a translator who can support you as a kind of mentor, that’s great, but if not, that’s OK too, because you can still make a lot of progress on your own. Also, if you dream of one day becoming a translator but you feel your language level is not quite there yet, don’t give up. I remember when I first started my Master’s in Translation Studies my Chinese was no where near the level it needed to be to start professional translating, but that didn’t stop me from enrolling – in fact, it pushed me to work even harder. If I hadn’t have taken that first step, I would not be at the level I am today. What if my communication skill is already advanced, what should I practice to become a translator? If your reading comprehension skills are already at a high level, you should start taking on jobs. Network with as many people as you can and let them know that you are a translator and are looking for work. You can also sign up to agencies and see how much work they can offer you. There’s no practice like the kind you get from real projects. Just don’t say yes to a job that is beyond your abilities, as you may find yourself in hot water if you mistranslate something. Do I have to take formal translation courses or certifications to work as a translator? No, you don’t. How helpful a certification may be really depends on the course in question, so I would recommend you learn as much about it as possible before you enrol. I learnt a lot from my Master’s in Translation Studies, but it is true that there was a bit too much theory and not enough practical components. Unfortunately, most translation courses are like that. The usefulness of a certification will also vary a lot depending on the region, industry and language direction you are hoping to work in. Again, be sure to do your homework before you make any decision. Let’s continue with a few questions about being a translator, as opposed to how to become one. 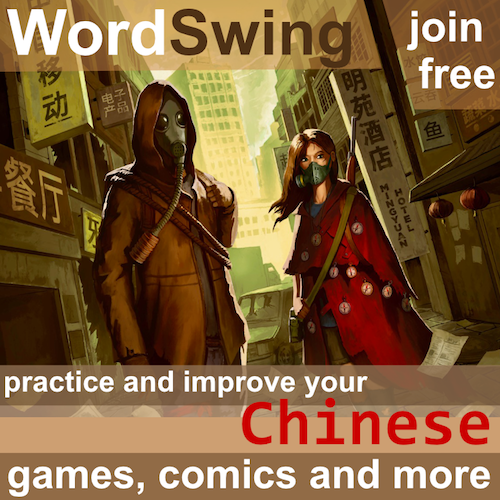 Do you feel confident translating from Chinese to English? Are there some areas you avoid? Yes, my main language direction is Chinese-into-English, as English is my first language. I accept most jobs I get offered, but there are exceptions – I don’t take on highly technical texts, that is, the kind of texts that even native speakers of Chinese don’t understand. Unless you have a background in the field in question, you will just waste too much time on research, and that’s time that could be better spent on other projects. How do you translate words that have no direct equivalent in the other language? This is a topic that you could devote an entire book to! 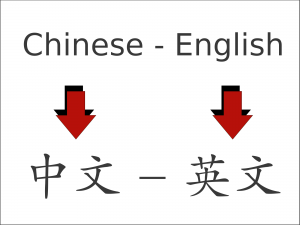 Translators often come across words which have no equivalent in the target language, especially if they’re translating Chinese-into-English. In most cases, you have to paraphrase. This is actually not as complicated as you might think. 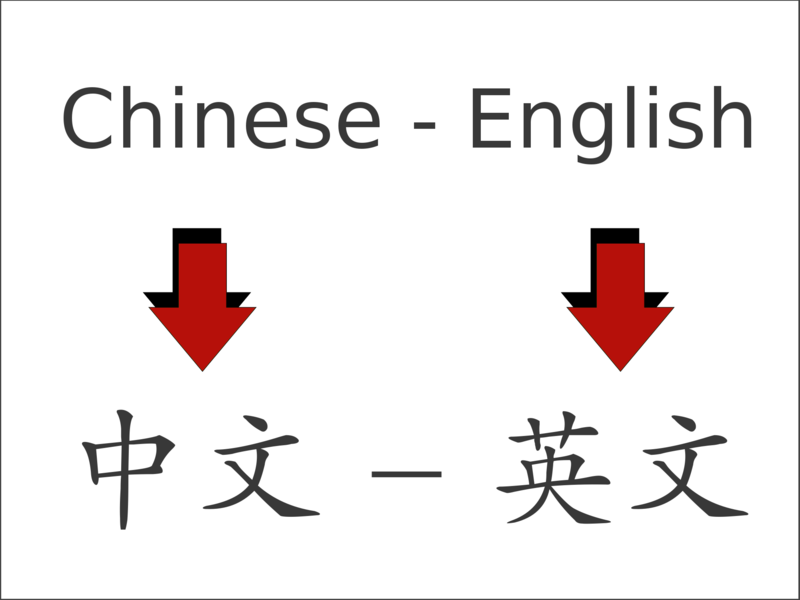 Take, for example, the sentence in Chinese我们是同乡, literally, “We are tóngxiāng”. Yes, there is no exact word for tóngxiāng in English, but that doesn’t make translation impossible – just have to add a paraphrase like, “We are from the same town” or “We are from the same province” or even “We are from the same place” depending on the context. Other translation decisions, though, can be more tricky, for example. Consider the term 坐月子 zuòyuèzi, the traditional Chinese form of postpartum recovery that lasts for one month after childbirth. You could use this explanation in your translation, or you could use terms like “confinement” or “lying-in”. Neither option is ideal; the former may make your translation sound verbose, while the latter may make your text read like “translatese”, since “confinement” and “lying-in” are not widely understood by native speakers of English. Ultimately, though, you have to make a decision, and find a way to make the translation “blend in” with the rest of the text, so it reads like an authentic (i.e. not translated) text. Another situation you may encounter is you are translating a Chinese term that may have entered into the English language. In some cases, this presents little difficulty – so you translate 功夫 as “kung fu”, 人参 as “ginseng”, etc., but in other cases you will need to decide whether to use a transcription, or go for a meaning-based translation instead. For instance, some people translate 关系 as “guanxi”, presumably because they believe that the reader would be familiar with the concept. Others (myself included) would opt for something like “personal connections” to ensure the message is understood by the widest audience possible. I can think of a few more terms like this: 山寨 – would you translate it as “shanzhai” or something like “knock-off goods”? 剩女 – “shengnü” or “woman in her mid- to late twenties and not yet married”? 白酒 – “baijiu” or “traditional Chinese spirits”? There is no one correct way to translate any of these, though I would argue translating 白酒 as “white wine” could cause serious misunderstandings! You will need to make a decision based on your understanding of the term, and the people you expect will be reading the text you are translating. Also, keep in mind that it can take years of contemplation before a good translation for a term is thought up. That, I guess, is part of the charm of translating. Which tools (including dictionaries) do you use when you work as a translator? A word processor, a plethora of dictionaries and a web browser. I also frequently discuss tricky translations with fellow translators on WeChat. I find that really helpful when I’m in a bind. I’ve never used sophisticated translation tools like CAT (Computer Assisted Translation) or TM (Translation Memory) beyond the university classroom, since I don’t do technical translation jobs. What’s the job market like? How much does a translator earn? Different regions around the world have very different translation markets, and this is again complicated by the language direction you are talking about. Because I lived in Melbourne for six years, I am most familiar with the situation in Australia. If you want to understand the translation market in your region, you will need to get ask as many translators as you can find online. Websites like Proz and NAATI provide directories which you can use for this very purpose. Note, also, that there are many different types of translation markets, all with their own pecularities – for example, technical translation is very different from literary translation; patent translating is different from subtitle translating, and so on. Much of this work is not publicly advertised, so again, you will need to network to find it. The two most lucrative jobs that bilinguals can get are technical translating and conference interpreting. They also happen to be the most demanding and difficult fields to enter. If you want to be a technical translator, you need to have a very strong background in a specific field, like mining, pharmaceuticals, patents, etc. Plus, you must find out whether there is a demand for the specialisation you have, and find clientele through networking or agencies. As for being a conference interpreter, you would need to have a native-level command of two languages. In other words, your ability to communicate in Chinese in a wide range of topics would need to be as good as your ability to do so in English. On top of that, you would need to do a year or two of training at a school which provides conference interpreting training. In terms of my personal experience as a freelance Chinese-into-English translator I can say that, though I am open to clients from all over the world, most of the work I get is from people in Australia. This is not just because my network is based in Australia – it’s also because people in Australia are willing to pay a reasonable price for a professional translation. Unfortunately, the same cannot be said for clients in China, where good translating is rarely valued, or even needed. Also, most translating for companies in China is done by in-house translators, or translated by machine, with very poor results. In Australia, if you can get a NAATI accreditation, you can at least find some work translating legal and immigration documents that require a NAATI stamp, especially for the Chinese-into-English direction. You should be able to find some work through agencies and personal contacts. However, you will need to network a lot to get a steady stream of work, and even then it probably won’t be equivalent to a full-time salary. There are very few full-time positions for translators in Australia, and the same could probably be said for many other countries as well. However, there are plenty of jobs that require someone who has both bilingual proficiency and a number of other skills. And this is where we come to the major issue facing most Chinese freelance translators – finding steady work. I know a lot of translators and interpreters, however I do not know any that do it full-time. I’m sure there are some, but I haven’t met them yet. This is not necessarily a bad thing though – even if I had the choice, I wouldn’t want to do translating Monday to Friday, 9 to 5, because it is so draining mentally. I also like the freedom that being a freelancer affords. However, I would love to translate a major project like a book sometime in the future if I met the right contact and the timing was right. What do you like most about working as a translator? The best thing about being a translator is the freedom and flexibility that comes with being a freelancer. Once you have a good range of clients, you can accept jobs when you want them, turn down ones that don’t attract you, and take time off when needed. But it takes a lot of time to get to that position – years of honing your translating skills and meeting a wide range of people who may have work for you. As of now I only have about eight years experience in the translating field. Most of the work I have done, well, you wouldn’t describe it as fascinating stuff – it’s mostly formal documents used in legal or business settings. Sometimes though I get an assignment which is a real joy to translate. The best kind of jobs you get are the ones which open your eyes to something you never knew about before. For example, I recently translated a text about a Chinese artist and his stories collaborating with Australian Aboriginal artists. It was a really interesting text, and I felt I did a good job translating it. Lately, I’ve been busy with my graduate thesis for my second Master’s in Ancient Chinese History. I hope one day I can get to a level where I can translate texts relating to Chinese history, culture or philosophy. This may not be possible for another few years yet, but it would be great to make a substantial contribution to the field, and even better, get something published. Watch this space! A big thank you to Carl for answering our questions about becoming and being a Chinese-English translator! I have only done limited translation work myself and I found it very interesting to discuss these questions. I hope you found it interesting, too! If you have any questions, pleas leave a comment! Oh. He’s overseas. I was wondering about that. In China there are billions of English translators and they all compete with each other for the lowest price. Native translators aren’t valued at all. Add globalism where there are tons of overseas Chinese who also compete, and I’m surprised anyone gets any work at all. I thought there was a niche where I could be a high quality translator, but nah. Nobody will pay for high quality, because who cares what the English looks like? Someone’s cousin speaks English, give the translation job to her. And I very much doubt you need advanced degrees to translate. I’m only intermediate myself and it’s not that hard to produce accurate, readable English using tools like Anki Reader and MDBG. I translated several product manuals and the only hard part was the technical machine names. Having a master’s degree do it would have been a waste. A fun place to practice and see if you have any talent for it is a website like Viki.com where you can subtitle Chinese dramas. I started subtitling there as part of a Hacking Chinese challenge a couple years ago and now I’m on there 1 – 2 hours a day. I completely agree that finding appropriate translations for words like 白酒 and 剩女 can be difficult, but on a site like Viki.com most viewers are familiar with Asian culture already and that gives you some leeway. I’ve found that it takes me 6 to 7 hours of work to finish a typical 45 minute episode. One disadvantage to translating dramas is that you are only working on conversational Chinese and very little descriptive prose, translating a book or short story would need a completely different vocabulary set. That said it’s still an easy way to see if you have any aptitude for it. could you please tell me more about how to join Viki.com to translate Chinese dramas into English? I was looking on their website for some info about that, but couldn’t find any. I have found it. I am very happy to learn about this option, thanks to you, Steve! I don’t know how I have missed Carl’s blog for all this time! If Carl is still about, I’d like to ask how he produces a global variety of English and avoids Austalian turns-of-phrase. Do you take Chinese to English translation freelancing job? I’m a conference interpreter which an A: English, B: French and C: Spanish combination. I was wondering if there is much work for English A’s who have a Chinese C?